FXpansion and Dan Foord (Sikth, Krokodil) teamed up to produce a BFD3 Groove Pack loaded with progressive, modern and technical metal grooves. 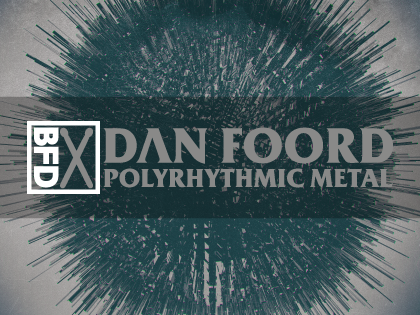 Dan Foord Polyrhythmic Metal contains more than enough grooves and fills for any songwriter to quickly create fully authentic technical metal drum tracks. I wanted to create a BFD Groove Pack that would be instantly identifiable as modern tech metal. 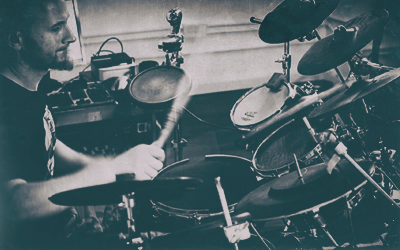 Polyrhythms in particular form the basis of this style and 3 over 4 most of all. I can honestly say you won't find a more comprehensive set of 3 over 4 polyrhythmic grooves and fills anywhere.